Degreaser can be used in a wide variety of environments, from kitchen, to bathroom, to factory. 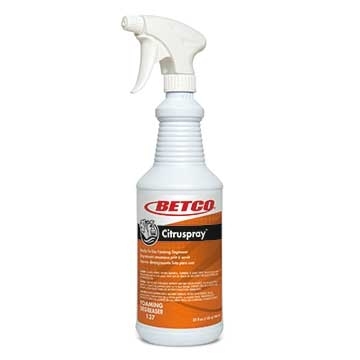 This product delivers superior performance, made with natural citrus solvents that allow for deodorizing as well as cleaning. Also, the unique surfactant system rapidly penetrates fats, oils and grease based soils. In addition, this cleaner degreaser is non flammable, yet it will out clean most solvent cleaners. Use this on grill cover, fryers, greasy floors, and other cooking equipment that is prone to grease buildup.